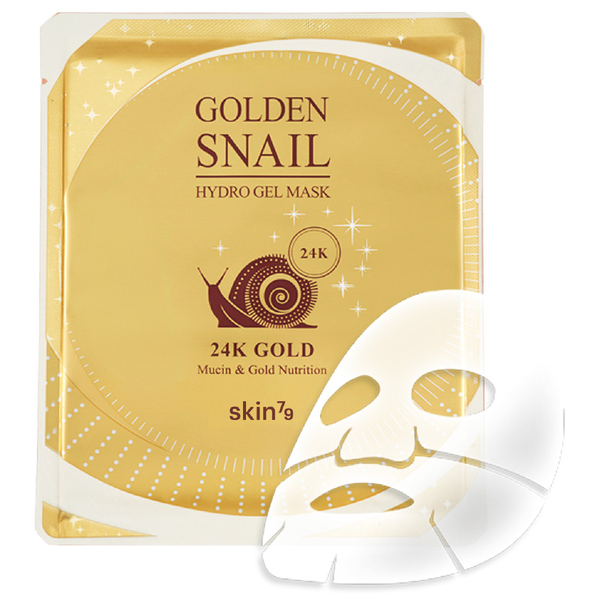 Treat your complexion to the Skin79 Golden Snail Gel Mask; a luxurious, anti-ageing treatment infused with 24K gold to restore a youthful glow. Effortlessly adhering to skin for maximum effect and absorption, the hydro gel mask utilises Golden Snail Mucin and Sea Swallow's Nest to deliver intense moisture and hydration, whilst helping to minimise the appearance of wrinkles. Expect a smoother, more refined complexion with revived radiance. Use after cleansing and toning. Remove film and apply the top and bottom sections. Match the top mask with eye parts and bottom mask with mouth section. After 20-40 minutes, peel off the face and gently tap the remaining essence to absorb.